About Zain Husain, M.D., FAAD: Dermatology and Skin Surgery Center of Princeton – John E. Vine, M.D. Dr. Zain Husain is a board-certified dermatologist and fellowship-trained Mohs Micrographic Surgeon. 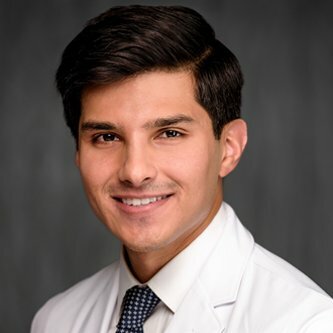 He grew up in northern New Jersey and began his medical education when he was enrolled in the accelerated 7 year BS/MD program with Rutgers New Jersey Medical School. There he graduated with honors and was elected into the Alpha Omega Alpha medical honor society. He completed his dermatology residency at Georgetown University Hospital in Washington DC, where he served as chief resident in his final year. He then completed a dual fellowship in Mohs micrographic surgery and dermatologic oncology and cosmetic dermatology at Montefiore Medical Center- Albert Einstein College of Medicine in New York. There he received extensive training in advanced skin cancer surgery and reconstruction as well as cosmetic procedures including injectables, body contouring, and laser surgery. Following fellowship, Dr. Husain worked in private practice in Washington DC where he also served as a clinical instructor in the Department of Dermatology at the George Washington University School of Medicine and Health Sciences teaching dermatology residents. Dr. Husain is excited to return to New Jersey with his family and serve the local community.